The only WordPress plugin for serious teams and athletes. No need to hack together multiple plugins for the functionality you want, it’s all here. SportsPress Pro is an all-in-one sports club manager for WordPress. Intuitive software built by our most experienced developers. Imagine your sports website on steroids, without the 'roids – 100% beautifully written code. SportsPress Pro saves you time by giving you the tools you need to set up your website quickly and easily. All of its features work seamlessly together. Sort by one or multiple columns, with a priority setting for each column. Visitors can also click any of the columns to custom sort the table. Select a team to highlight in each league table, to make it easier to see where you team is in the standings. Shortened tables are centered around the highlighted team. In the event of a tie, SportsPress automatically compares and analyzes match results between the teams to put them in order. Choose from the included presets, or build equations for any sport. The easy drag-and-drop interface allows you to create custom equations and display advanced statistics like streak, games back, and home/away records. Keep your players and staff informed and let them know where they need to be. Add venues to display an interactive Google map so they'll know exactly how to get there. Select the players that will be playing in the event. The player order can be changed, and starting lineup can be displayed separately from substitutes. SportsPress makes it easy to keep track of each player's performance during an event. Display these in a timeline with icons in your match report. Get more insight by displaying a breakdown of each team's statistics per event. An animated bar graph will show you the match stats. Multiple layouts give you control over where and how to display events on your site. Visually display multiple events in a horizontal layout across your website. As seen on websites such as the NFL, EPL, NHL, and NBA, the header scoreboard layout is a signature design element to any professional sports website. 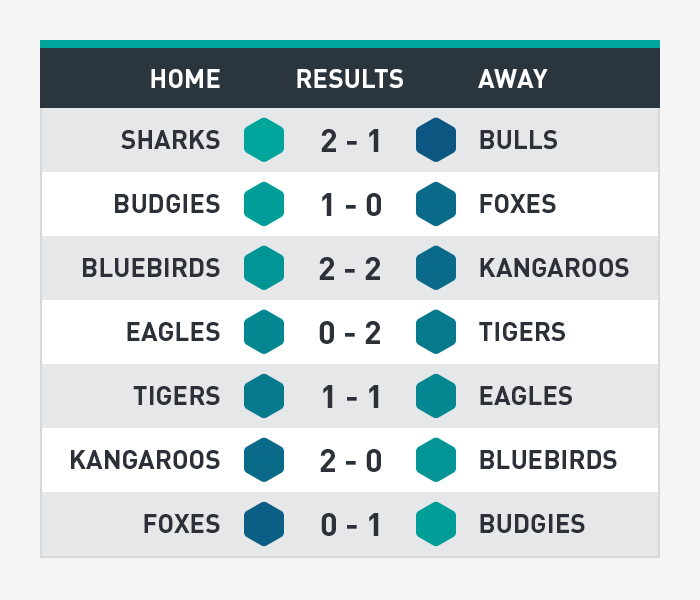 Visitors can easily see the latest scores and check out your match reports. 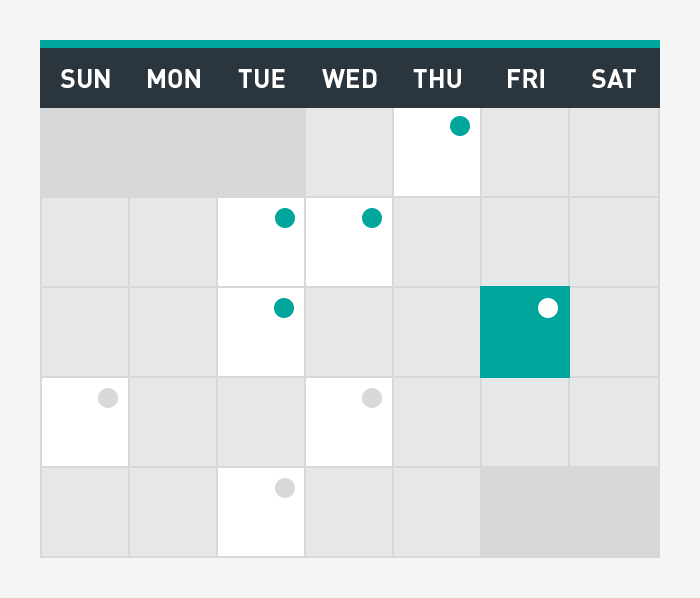 This familiar calendar layout is perfect for showing your visitors how soon the next event is. The current day is highlighted, and the dates with events can be clicked to view more details. The list layout is compact and a good way to display lots of details without taking up too much space on your site. You can customize the columns so that it only shows the details you need. Event blocks can be placed side-by-side to display fixtures and results together. The kick-off time is automatically displayed for upcoming events, and results for past events that have results. Countdown widgets can be added to the sidebar or to any page using shortcodes. Select a specific match, or let it automatically display the next match. The clock will animate on your website so visitors can feel the excitement! Easily create visual and interactive knockout cup and tournament brackets. Quickly setup your upcoming tournament and schedule matches from the first round. Select the dates, times, and who's playing who. Events are created automatically. Once you publish the tournament, your fans can see how your team is progressing through the bracket. Watch teams get eliminated from the knockout cup while winners move on the next round and make it to the finals! The flexible tournament layout supports most bracket types. Add up to 64 teams in single elimination or 8 teams in double elimination, with separate brackets for losers and champions. League tables can be inserted before the brackets, which is a great way to show how each team performed before qualifying into the main stage. 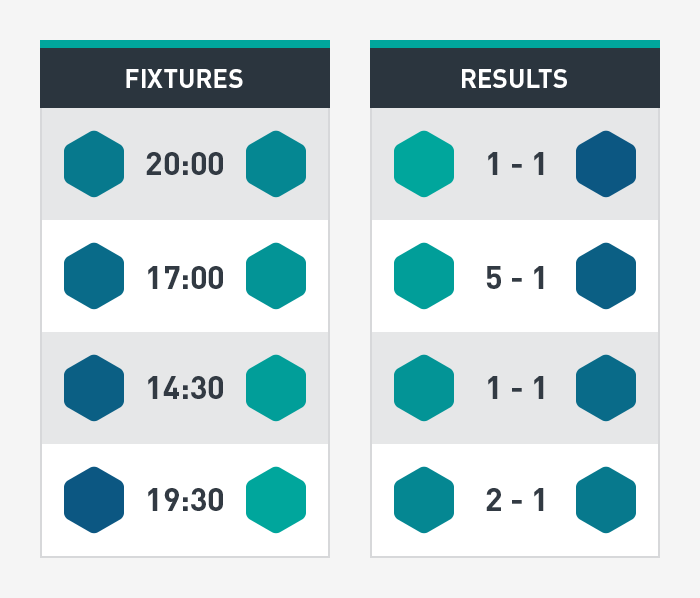 Easily display multiple group stages or relevant match information all on one page. Attract new sponsors by offering them advertising space on your website! Register each sponsor by simply uploading a logo. Quickly add sponsors to your website in all the right places. You'll be able to customize the size of sponsor logos, sort order, position, and the number of sponsors you’d like to display in the footer or header of your website. From your admin panel, you’ll be able to see which of your sponsors are getting the most clicks and impressions. 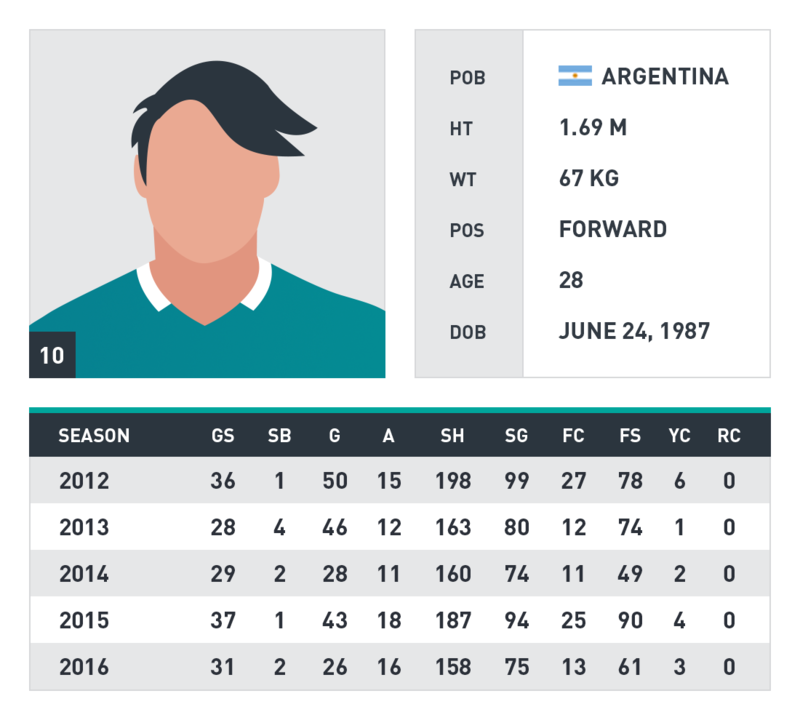 Player statistics are automatically calculated from their performance in past events from any combination of season and league. Get an overview of their career by displaying total statistics. Birthdays can be added to player and staff records. Once added, each person's age is automatically calculated and can be displayed on their profile. Each player is displayed with a profile photo and their squad number in a grid layout. Useful for creating team rosters. Players can be sorted by their performance to show who's in the lead. Create multiple leaderboards for different statistics. Display an overview of the staff members in each club with their job title and contact information for quick glance. Give members access to different areas of your site. You can even choose which team each person belongs to.